I don’t know about you, but recently my Facebook feed has been filled with people sharing images of strangers holding hand written signs, looking for help in finding long lost loved ones or people from their past. 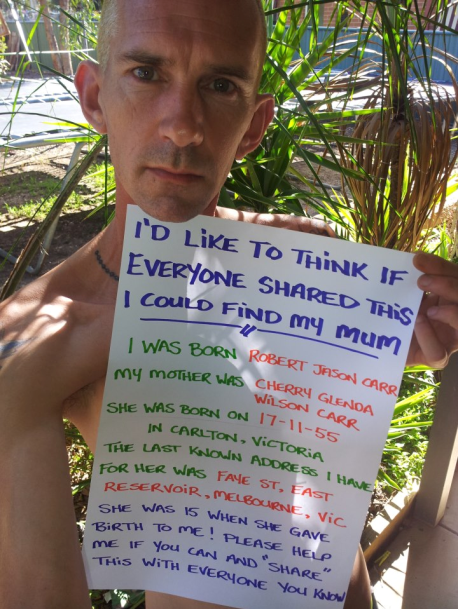 It’s been a wonder to me if anyone had actually had any success in this research method, until I stumbled across Bobby, a Victorian resident who had found his birth mother with the help of Facebook. 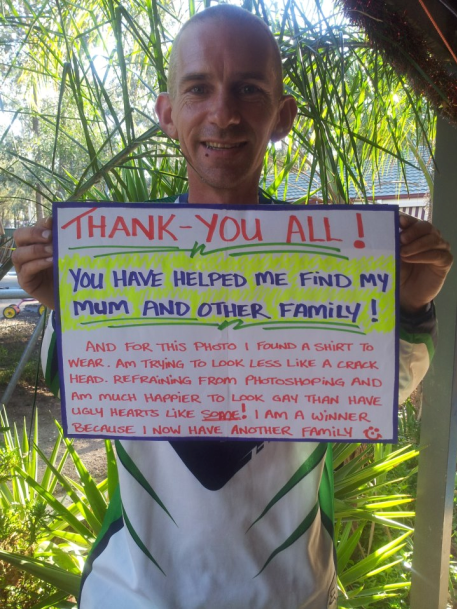 His original photo, which garnered over 26,000 shares, led him to successfully contacting his mother, Cherry Carr. It was a long process, having starting at the Melbourne’s Department f Human Services around three years ago, but the ongoing costs to obtain certificates and travel, as well as the daily financial commitments of his own life. “I have a mortgage, 3 kids, bills and other expenses it just seemed like a luxury to do that”, he says. But after signing up for a Facebook account, Bobby was inspired to take a new approach to his search. After seeing other people post images of themselves holding signs such as “my mum and dad say if I get a million likes I can have a puppy”, he thought he’d take the risk on the odd chance it might work. Intentionally using his birth name on the Facebook account, he hoped it would be easier to make contact with his birth family. Then he took the picture. “I knew that I’d possibly be making myself vulnerable to abuse and hate mail, which I received a little bit of. But I thought I just had to try. “It was something that wasn’t gonna cost me anything. If nothing happened then at least I knew I had tried. I was so not prepared for how far it all went though”. And within just three days, Bobby made another post – saying he had made contact with his birth mother. The connection was made through his aunt, who was the first of his family members to see the post. “I have so many relatives that I’m yet to meet, but they all seem just as excited as me to do so” he says. It’s a good outcome for Bobby who set out to simply let his birth mother that he was doing well and has had a good life with a good family. 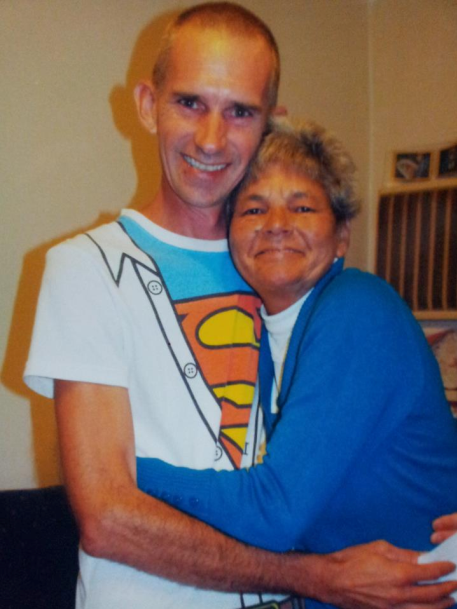 “I wanted to put my mum’s mind at ease and didn’t want her to be walking around with a heavy heart never knowing what happened to me” he says. “Of course I was also hopefully of an ongoing relationship with her but it wasn’t the main reason for finding her. I was alright and I just wanted to make sure she was too”.